As of now, ITI will not be able to offer the REU summer internship program in 2016. Please check back for more information at a later date. 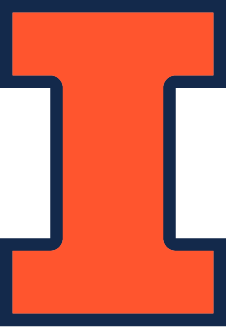 The Information Trust Institute's Undergraduate Summer Internship Program will bring undergraduates from around the world to work with ITI researchers at the University of Illinois at Urbana-Champaign in a number of information trust research areas. During the 8- to 10-week program, students will choose a research area in which to focus, while learning broadly about information trust, information assurance, security and other areas through semi-weekly seminars. Participants will have the chance to study under ITI researchers who are leading experts in their fields. All interns will receive stipends and housing. For U.S. citizens and residents, this support will be provided through National Science Foundation Research Experiences for Undergraduates (REU) supplemental funding. The main program will run from June 3 to July 27; if those dates conflict with your academic calendar, and your ITI faculty mentor agrees to accommodate different dates, other start and end dates may be considered. State your constraints in the application. Applicants should be undergraduate students at any university, in their second or third year, who have completed some technical course work in computing. Applicants who will have completed their third (junior) year are preferred. Both U.S. and permanent residents are welcome to apply. Students majoring in computer science, computer engineering or any field related to science, technology, engineering and mathematics are encouraged to apply. ITI faculty are working in a broad range of areas related to the creation of computer systems, software, and networks that society can depend on to be trustworthy, that is, secure, dependable (reliable and available), correct, safe, private, and survivable. Instead of concentrating on narrow and focused technical solutions, ITI aims to create a new paradigm for designing trustworthy systems from the ground up and validating systems that are intended to be trustworthy. ITI conducts research both on underlying technologies and on a variety of application areas, including electric power, financial systems, defense, and homeland security, among others. Below is a list of professors who have indicated that they would like to sponsor students this summer, and links to more information to help you choose which faculty members you are interested in working with. Additional names may be added to this list, so check back! On the application form, you will be asked to name the three people with whom you would be most interested in working. The application process for 2013 is now open; submit your application here. The application deadline is May 12, 2013. The University of Illinois is an Affirmative Action/Equal Opportunity Employer. Students who are women and/or members of underrepresented groups are encouraged to apply. Are non-US-citizens (international students) eligible to apply for this internship? Only U.S. students and permanent residents are eligible for the REU internship. Do I need to send reference or recommendation letters with my application? No. You do not need to provide us with letters. We do need 3 reference names and their email addresses; we will contact them directly as needed. Do I need to select ITI faculty to work with for this internship? Yes. We do need this information in order to process your application. It is critical that you specify the names of up to 3 faculty you'd like to work with. Your chances of being selected are very low if you do not do so. Do I need to provide my academic transcript along with the application? Your transcript is requested, and may increase your chances of success. However, if you are not able to obtain an official copy in a timely manner, you can submit an unofficial copy with your application, or submit your application without it. Note that you can log back into the system to upload additional materials (or make any other edits) until the system closes. Can I apply to the program if I am a freshman or sophomore? You may apply but our preferred applicants are junior-level students. Can I apply to the program if I am a senior? No. You are not eligible to apply if you will complete your undergraduate studies prior to the start of Summer 2013. Does the internship provide housing and meals? The internship program will provide housing.